Summer has finally come to an end, and the Italian countryside is ready to change its colors and shades. 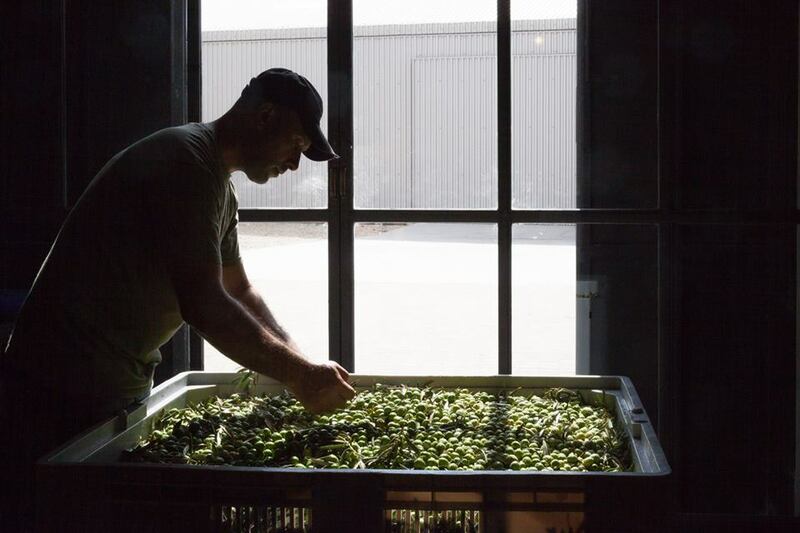 But fall won't be a quiet time in the country: from the North to the South of Italy, the olive harvesting season is approaching and growers and mill-owners are full of anticipation. 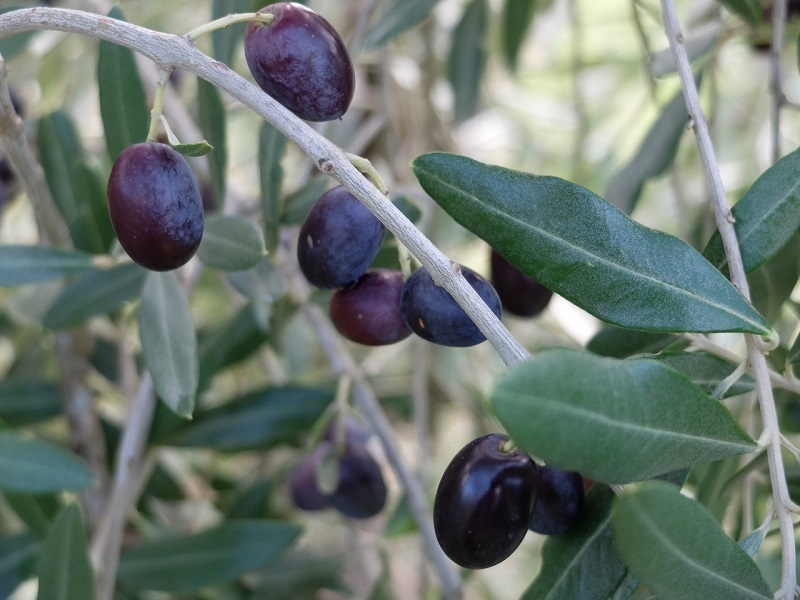 Picking the olives from the trees when they are still half-ripe, carefully carrying them to the mill as soon as possible and pressing them to obtain the delicious and precious “green gold” - as extra virgin olive oil is often defined – is a tough job. But it does also entail some well-deserved perks, such as the chance to taste the freshly milled olive oil on a slice of warm bread: an old-time practice which has to be experienced once in a lifetime. 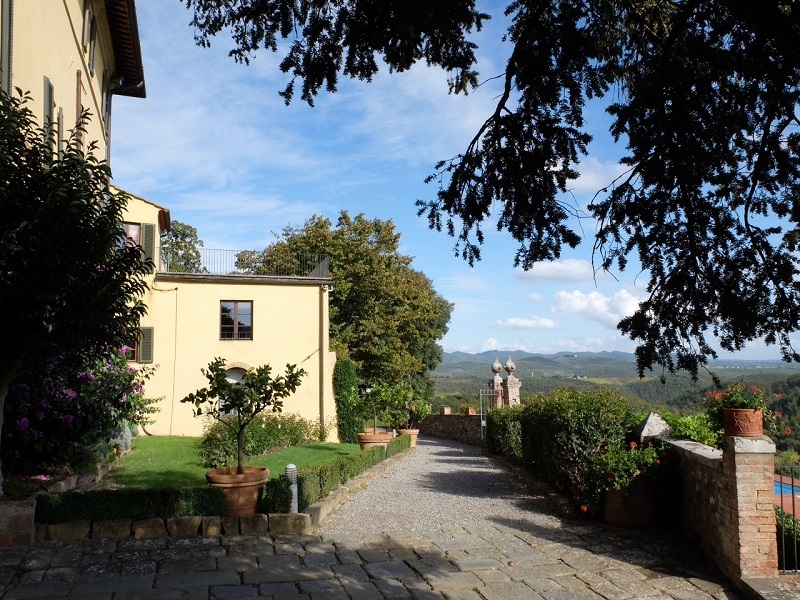 In Tuscany, in the heart of the Chianti Classico area, Dievole is an enchanting estate dating back to the 11th century, a few miles from the medieval hamlet of Vagliagli. Surrounded by olive groves, vineyards and cypresses, the historic Villa Dievole and several modern cottages spread around the gardens offer luxury accommodations in a relaxed and elegant atmosphere. Guests can make use of the swimming pools and walk through rose gardens, learn the tricks of the Tuscan cuisine with cooking classes, wander along the “natural path” which unravels amongst vines and olive groves and take part in the guided tasting tours of the estate's wine and olive oils, as well as a visit to the old cellars. Dining on the beautiful terrace or in the Villa's restaurant will offer plenty of chances to taste the excellent Dievole extra virgin olive oils obtained by different olive varieties made by the oil-maker Marco Scanu. A smaller, more basic but equally lovely way to discover Tuscany's olive oil production is Ilune farmhouse, at the edges of the evocative “tuff-stone village” of Pitigliano, set on a rocky spur in the Maremma area. 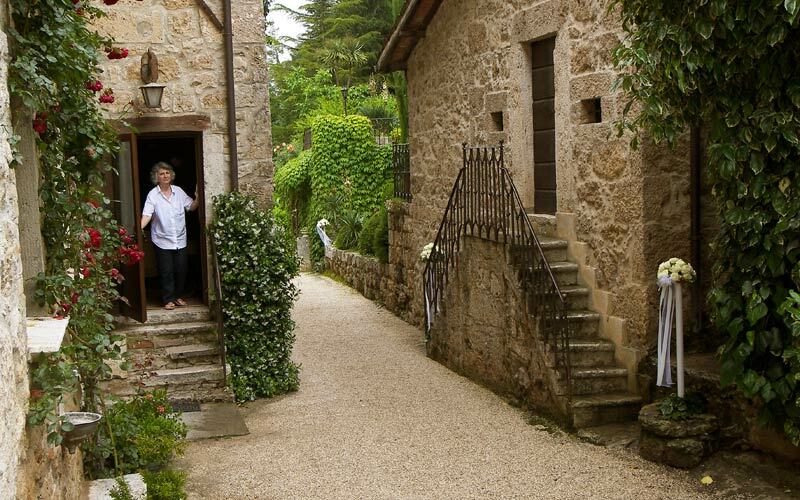 This cozy farmstead run by Johnny and Susanna is the perfect place for romantic getaways, archeological tours along the impressive Etruscan pathways called “vie cave” and unforgettable breakfasts with homemade pies and jams. And the house's olive oil obtained by the trees which surround the house is not to be missed. 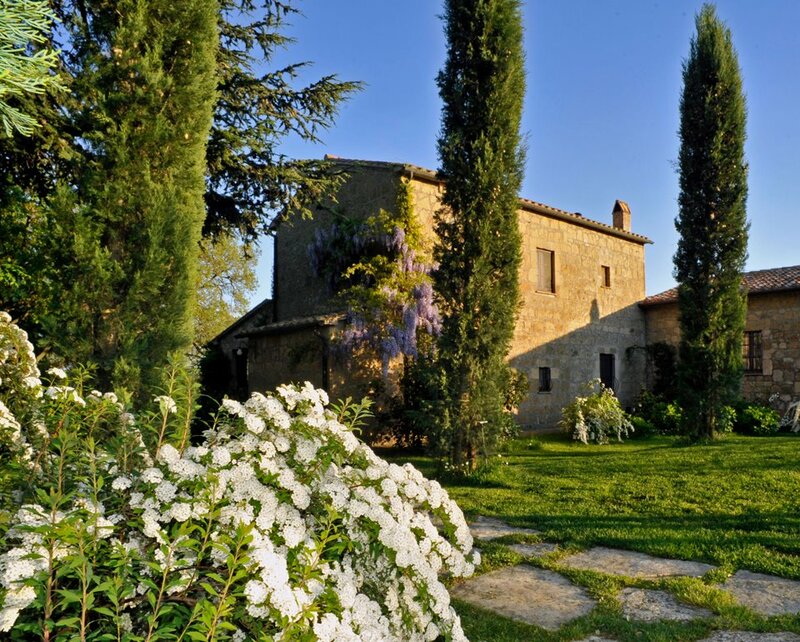 In Umbria - the region often called “the green hearth of Italy”, full of historic and artistic treasures and picturesque villages - the charming resort La Ghirlanda offers elegant accommodation in the Villa's characteristic rooms and suites. Set in the middle of the lush hills surrounding Gualdo Cattaneo by the medieval hamlet of Saragano, the 220 organically-grown hectares' estate belong to the Pongelli Benedettoni family. They have been making olive oil for centuries and have been exporting it to the UK at least since the 1888, when they participated to the Italian fair held in London that year. The organic and Pdo extra virgin olive oils are made from Italian and local varieties of olives (Frantoiano, Leccino, Moraiolo and Raggia) picked from the about 5000 olive trees of the estate. To the right of Umbria, facing the Adriatic Sea, Marche is another lovely rural area to discover, its landscape bright with the greens of the hills and the blues of the sea. The Agriturismo Villa Cicchi, not far from the stunning historic town of Ascoli Piceno, is a beautiful rural retreat where to relax and enjoy the surrounding countryside. The villa welcomes guests in six comfortable rooms, which have been restored keeping the original furnishings and the beautiful 19th century frescoes (in the superior rooms and suite). 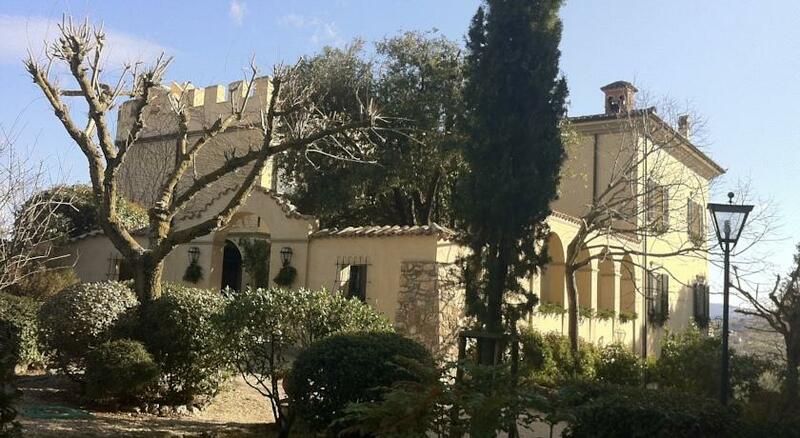 Common areas include a swimming pool, a relaxing garden, a small private chapel for weddings and a charming restaurant. This is the perfect place to experience the flavours of the regional cuisine with local specialties such as the duck ragout tagliatelle and the fritto misto (fried bites including sweet cream cubes), vegetables grown by the owners at the near Conca d'Oro organic estate (where the extra virgin olive oil also comes from) and the delicious olive all'ascolana. The local olives of the ascolana tenera variety are depitted, stuffed with a mix of meat, bread, Parmesan, spices and eggs, then breaded and deep fried. Maria Elena Cicchi will teach you how to prepare them, along with many other typical recipes, during the in-house cooking courses. On the opposite side of the Italian peninsula, looking over the Tyrrenian Sea from the enchanting Sorrento coastline, Le Tore is a pretty organic farm and country house run by Vittoria Brancaccio. Set on the hill of Sant'Agata sui Due Golfi, the farm – an authentic masseria (manor farm) dating back to the 1800s, with original furnishings and homegrown products - offers a stunning view over the two gulfs of Sorrento and Positano (from which the village takes its name) and a rustic, eco-friendly and sustainable hospitality based on recycling and reduced consumption criteria. The homemade breakfast and the house's organic extra virgin Pdo Penisola Sorrentina, made of local varieties such as Minucciola and Rotondella, though, are for sure, a fantastic treat for anyone visiting. Getting to the heel of the boot, Apulia is Italy's main olive oil producing region. The whole area is scattered with stunning hundred- or even thousand–year old olive trees, which mesmerize with their twisted and mighty trunks. In the heart of the Itria Valley, not far from Bari and close to the picturesque village of Alberobello with its trulli (traditional dry stone huts with a conical roof, today often converted in guesthouses), Masseria Torricella is a charming agriturismo with a relaxing atmosphere. The white stone-built masseria looks over a wide countryside made of woods and fieds and the water-digged valley of the Pirro canal. Guests can be accommodated in the comfortable masseria rooms, in the cozy garden outbuildings, in the self-catering cottages or even in a restored trullo at a few meters from the main building. The restaurant offers typical dishes such as orecchiette (traditional home-made pasta) and macco (broad bean cream) with chicory, and farm products such as cheese, wine and olive oil, which of course also make ideal souvenirs. Deep down on the heel, in the Salento area, Masseria Il Frantoio (meaning The Oil Mill) is an organic farm a 10-minute drive from the village of Ostuni and the crystal clear sea. Rustic rooms and common areas decorated with antiques are located in a white 19th century building, surrounded by citrus orchards and olive groves. The farm also features an original mill dating back to the 15th century, still producing organic extra virgin olive oil from the olives growing on the patriarch trees of the masseria. The restaurant offers typical recipes with “0 miles” products, which are served in the lovely courtyard during summer. Be sure to taste also the home made olive leaves liqueur! Finally, it is impossible to get to know Italy properly without having visited Sicily. The island is famous for its mouthwatering street food and pastry (see arancine and cannoli) but also for the excellent extra virgin olive oils which are born here: from the lovely tomato-scented oils made of Tonda Iblea olives to the intense Nocellara ones, smelling of freshly-cut grass and artichokes, and to the delicate Biancolilla and Giarraffa. 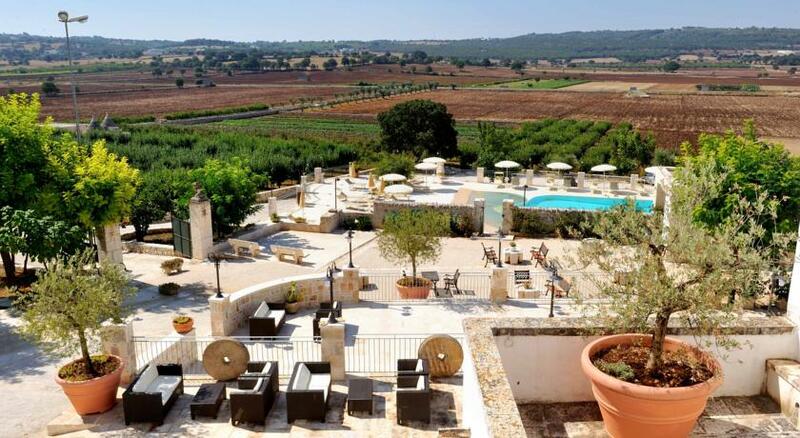 Situated on a hill not far from the stunning Agrigento temples, in the countryside of Palma di Montechiaro, the Mandranova farm and resort is the ideal place to enjoy the island's wealth in terms of beauty, culture, relax and food. Mainly an olive oil farm, with century-old trees and their own, up to date milling plant, Mandranova also offers stylish accommodations in the beautiful rooms of the ancient farmhouse or in those created by the renovation of an old train station and an old winery. The resort also hosts “in residence” artistic programs, while the old gebbia (the basin for agricultural irrigation) has been converted into a swimming pool. The restaurant offers refined Sicilian home cookery based on locally sourced or self-grown produce, including of course the farm’s extra virgin olive oils. 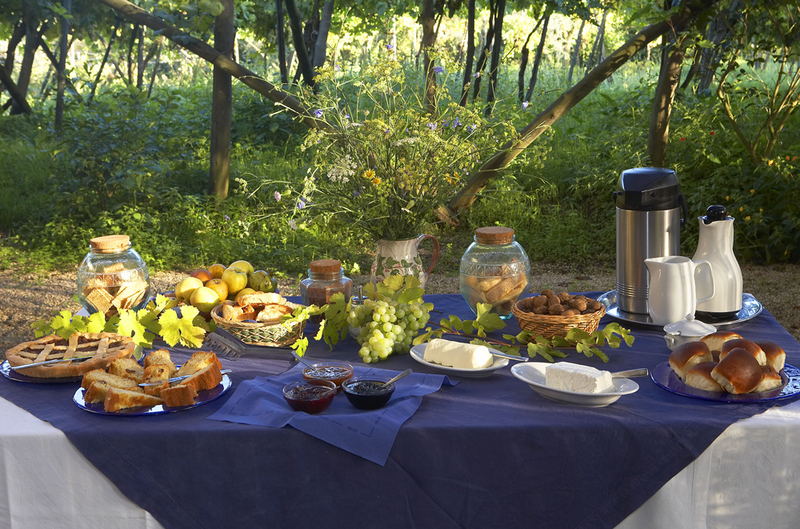 As a guest of the Mandranova resort you will be invited to visit the olive groves and olive press to learn about the magic of olive oil and – during the harvesting season - you can also take part to the harvest and the making of “your own olive oil”. Are you ready to seize the opportunity?